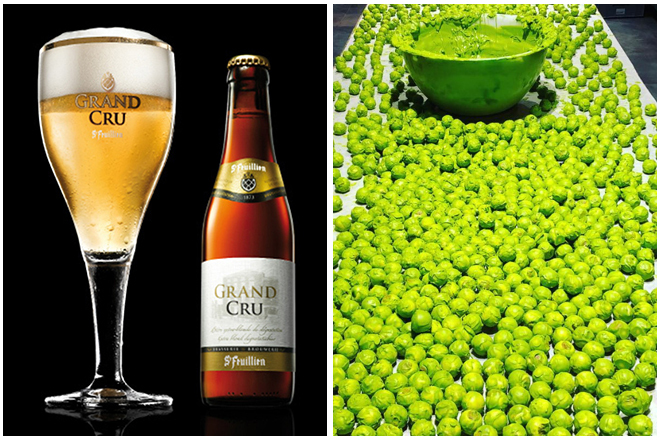 Beer is on the up and up in gastronomy. Renowned restaurants are offering still more often a menu with beers to suit. 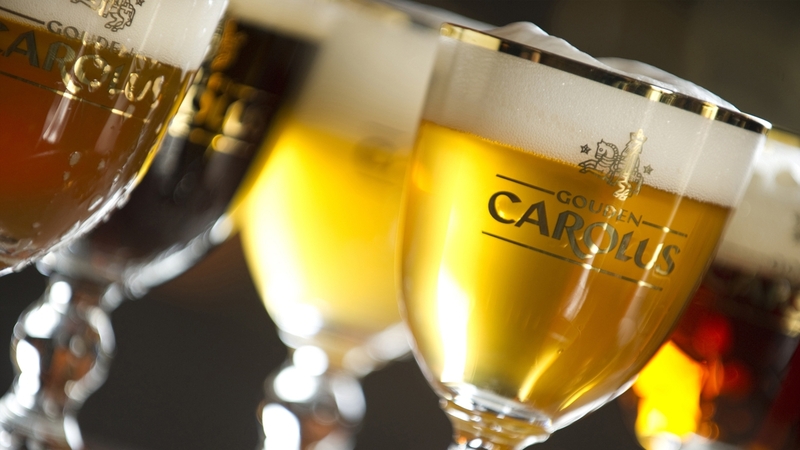 The wide range of flavours of Belgian beer – from sour to sweet – adds refinement and robustness to the national and international cuisine. But also vice versa. Someone who has once been served a carefully selected small chunk or cube of cheese with his beer knows that such combination is that powerful that your senses start to tingle like the first kiss of a new love on a hot summer day. 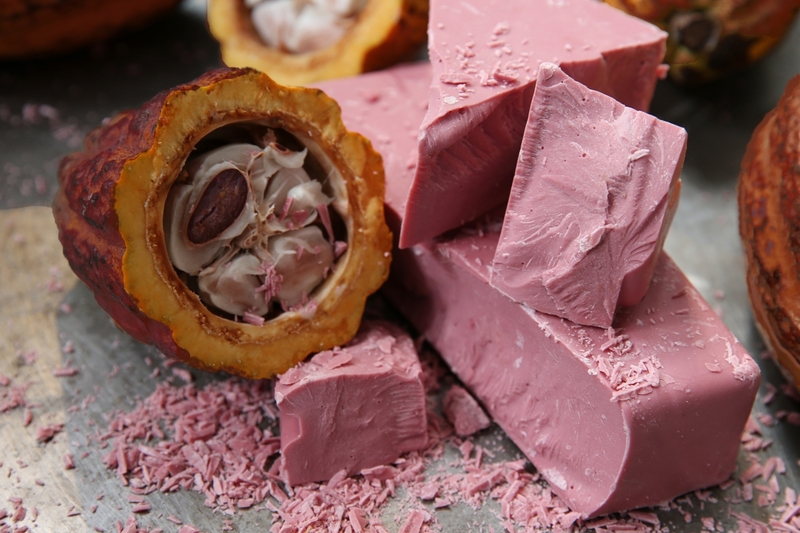 To the combined flavour palette you can add a new wow effect: beer and chocolate. At first sight the complementary taste of the two seems self-evident. Think of dark beers like porter or stout that often contain a specific chocolate flavour without adding cocoa. 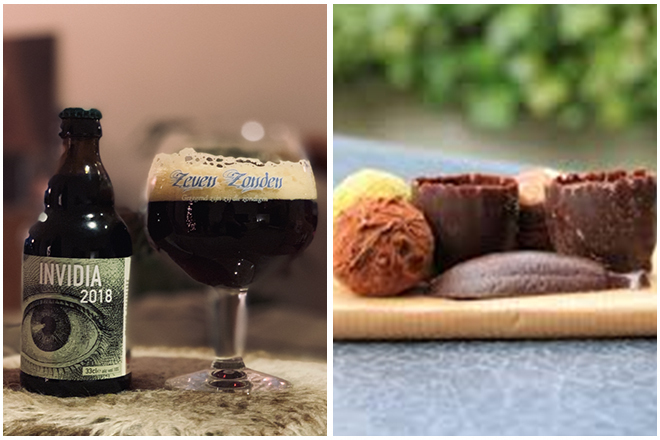 Nevertheless a closer look reveals that beer and chocolate have complementary qualities, qualities that go beyond the obvious. From sweet to bitter, from light to heavy, from white to dark. These adjectives describe both beer and chocolate and the ways in which the flavours contrast and complement. 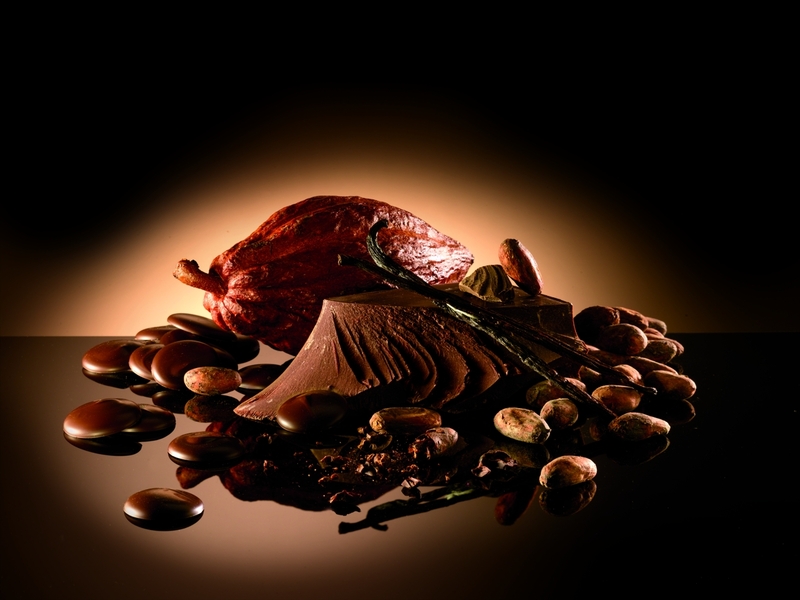 The goal in a tasting of beer and chocolate is to finish the intensity of the flavours in a perfect balance. Pairing a strong dark chocolate with a light beer would eliminate the taste of the beer. The reverse is also true: put a sweet white chocolate next to a complex beer and there is not much left of the chocolate to enjoy. 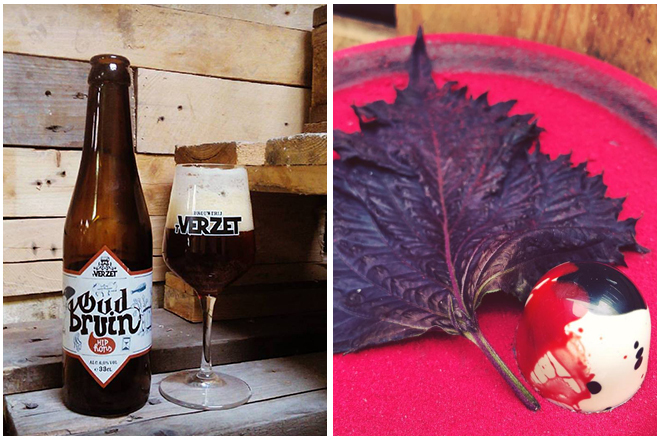 A good balance is always necessary to bring the flavours of both beer and chocolate into balance. Such harmony can, however, also be reached by contrasting flavours. 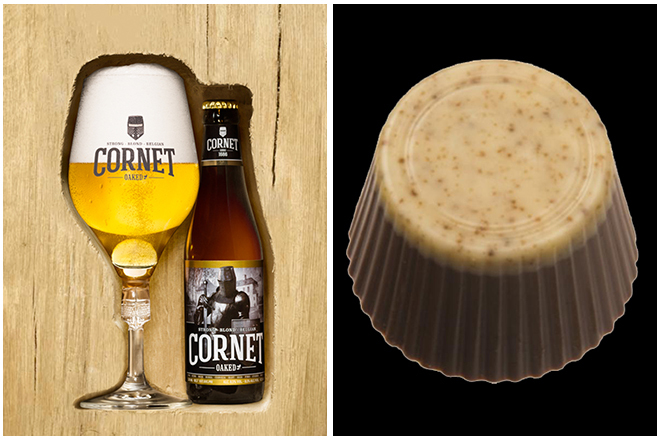 The intention is to make sure that the praline improves the beer and the other way around. The wow effect of 1+1 = 3. 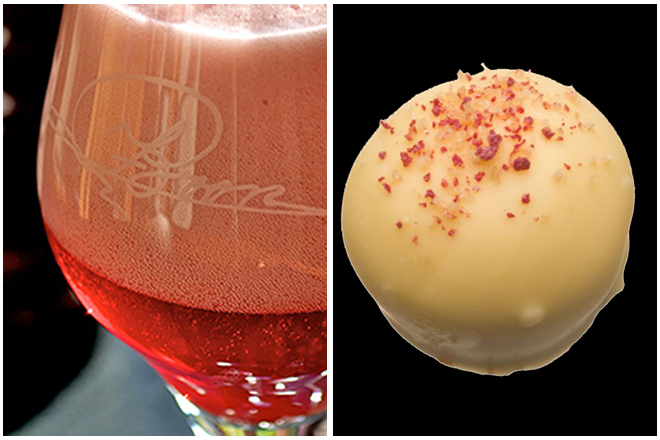 I do not go for the simple combinations such as a chocolate truffle with dark beer or a praline with a Cointreau filling and a white beer. 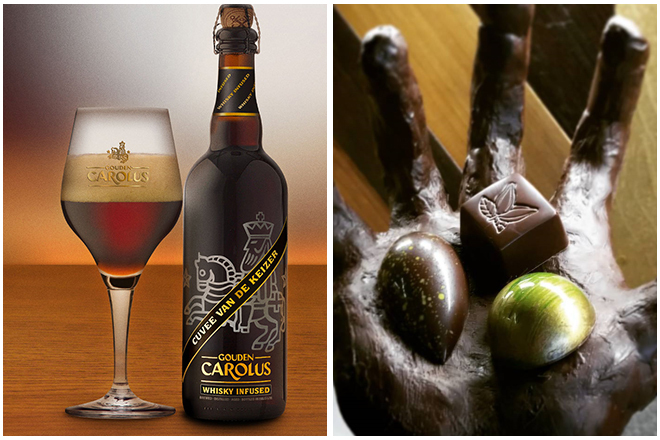 Beer and chocolate pairing is no exact science. 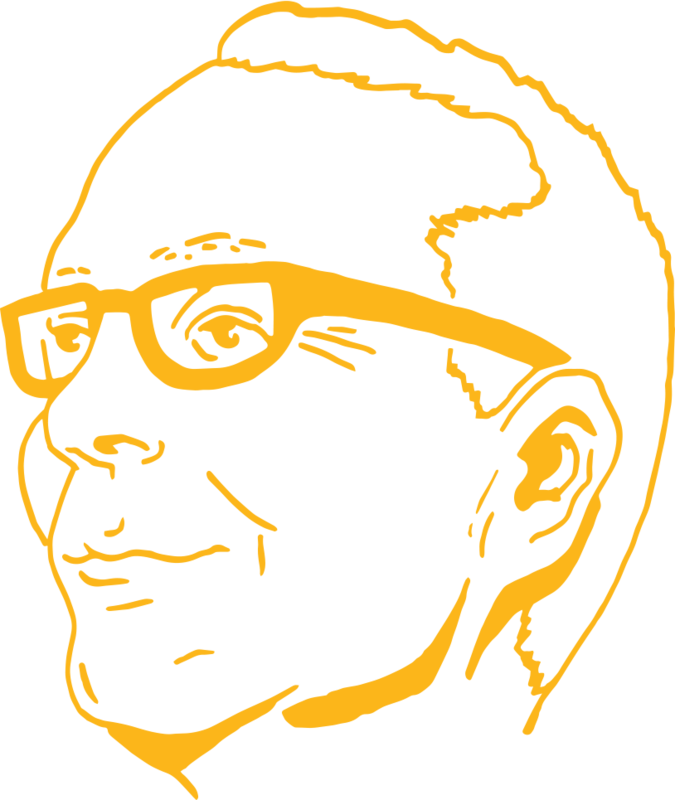 A lot of tasting and dare to combine is the message. 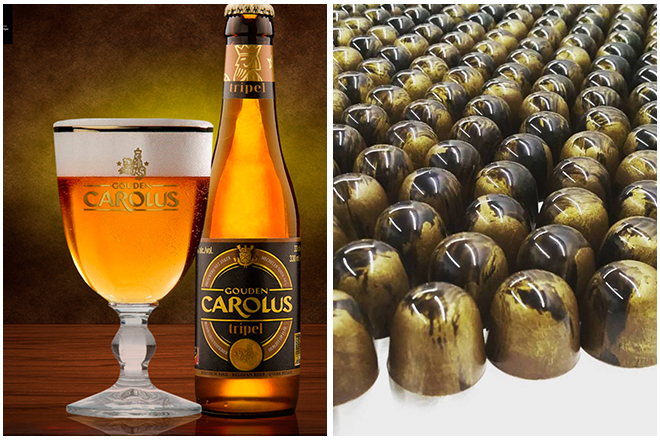 The last three years I may have paired about 800 Belgian beers with pralines from all over the country. Sometimes there are some pairings not really satisfying or convincing until you suddenly discover a combination spontaneously causing goose bumps. The famous wow effect that is difficult to explain.